Toms River Township public works crews were hard at work Monday and Tuesday repairing some of the damage from the three day-long nor’easter that repeatedly threatened breaches in Ortley Beach and required more than 200 loads of emergency sand to protect the neighborhood. Officials said the crews repaired dune fencing while more sand was delivered as seas still ran high despite the storm having moved out, giving way to sunny skies by Tuesday morning. 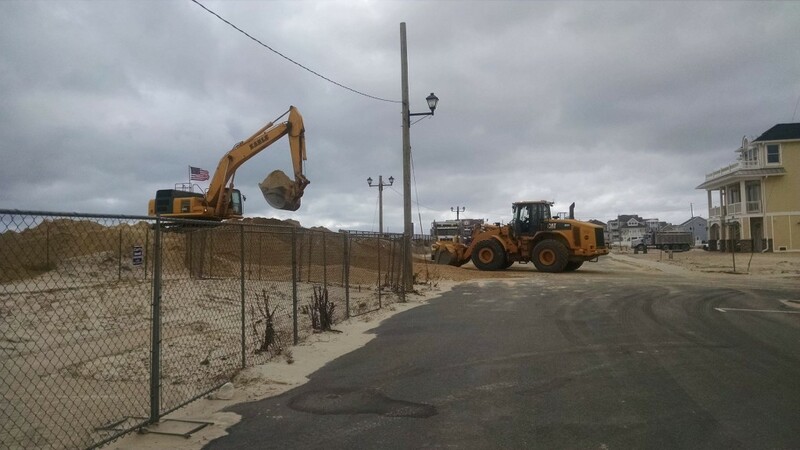 Crews worked to fill in sand around the Block House lifeguard station’s foundation, on the beach where the Surf Club once stood, near the Golden Gull condominium building and other vulnerable areas. Some residents had returned to the Golden Gull building by Tuesday afternoon. “The beach is wide enough to work on, but it is about four feet lower than prior to the nor’easter,” the township said in a statement. 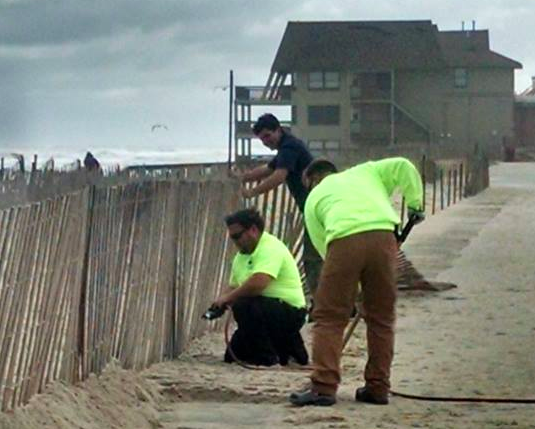 Toms River officials estimate about a third of the main dunes are eroded – specifically, the frontal slope of the dunes. The storm’s final high tide also caused some minor damage to the bottom of the walkover at 3rd Avenue.